An access control door is important for many industries. The team here at Seven Locks and Doors installs and repairs this type of system. Here are some of the common problems we see with access control doors. What Is A Access Control Door? An access control door is a modern way for individuals to access their door or gate. It can be a wireless keypad or device located on the outside of your office or your commercial property. 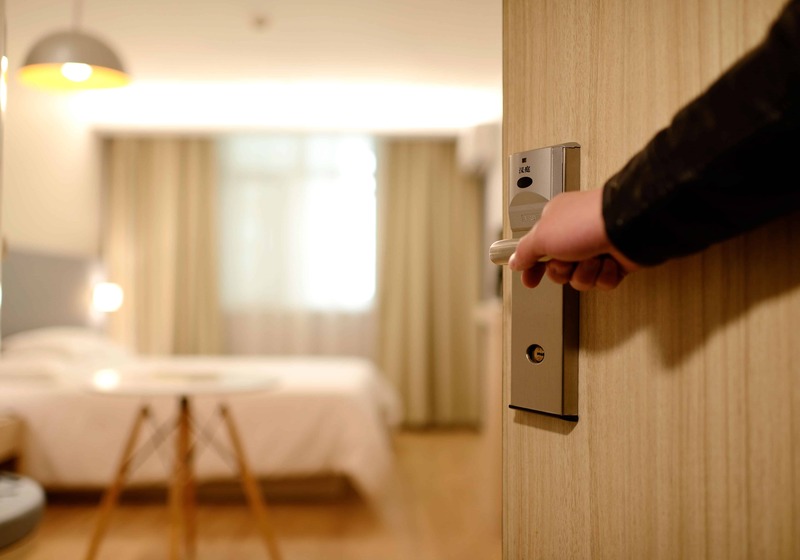 Our wireless, keyless entries are very convenient. Having a key card makes very easy entry into your pool or gated community. Also makes for easy entry if you have a card reader or a fingerprint scanning control door. These access doors are great for staff members easy entry. Once you have one installed you will think of it as a necessity. What Mechanism Enable Access Control Doors to Work? Whether you have a keypad or an access control card, they both work great. When the access control card comes in contact with the mounted card reader. It will electronically send a request to unlock the door. The keypad is just as simple. After you punch in the code, your door or gate will notify the lock and open the door. These devices work with electronic locks, when given the signal they will unlock or lock on demand. Same method with the fingerprint scanning. Once you have scanned your designated finger it will notify the lock of the correct scanning and open the door. Poor power can cause the access control doors to stop working. Rarely the latch of the lock will not latch properly causing the door to not work. If a door is not properly hung it can cause the door not to open or close correctly. Old equipment is also a reason for control doors to stop working. If you are not in range of the keypad it will not respond properly. Also, if you see anything broken or loose that would be a reason your door is not working. The number one reason to have an access control door is for convenience. These powered doors are great if you are a business owner and have a locked gate that many employees drive through every day. If you have a locked door that employees access daily. If they have their own access card or code, or fingerprint scanner only they can get inside. Control doors are a great way to keep crime levels down as well. The benefit of installing the access control, your business partners can come and go as they please. The best thing is you choose who can enter your desired door or gate and who does not. Is It Worth It To Install This System on Your Building? You might be wondering if having access control is actually worth it for your business. Many business owners feel this is valuable expense and create a lot less headache for them later down the road. Anytime you have easy access into your building or onto your commercial property we know that can be stress-free. The card readers and keypads are affordable. Call us today to get a great rate. For business owners, the access control door is a must-have. Here at Seven Locks and Doors, we know what the people want is convenience. Having an access control system is a very easy way to get in and out of your business gate and office. We know your life is busy, you need things to be as easy as possible. Faster and easier control is something everyone needs. Our team is experienced and ready to come out and install yours today. Call today so we can help you.